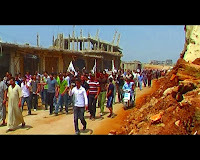 a-films: video: "protest against barracks"
on 15 may 2009, several hundred residents of the destroyed nahr al-bared refugee camp in north lebanon gathered at the al-quds mosque to march along the army posts to a construction site in the south of the camp. 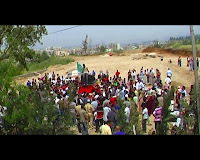 there, yet another piece of land was flattened and the building of the fifth unit of temporary shelters for displaced families is being prepared. 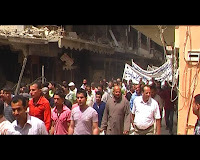 the 2-minute video can currently only be watched here on youtube or below.